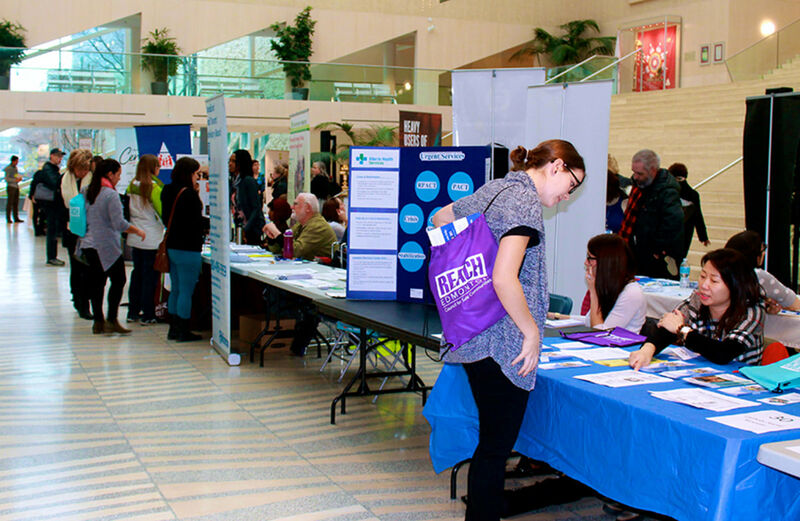 REACH is excited to announce that Everyone Leads: REACH Edmonton's 2019 Annual General meeting, with special guest speaker Paul Schmitz, is happening June 6. 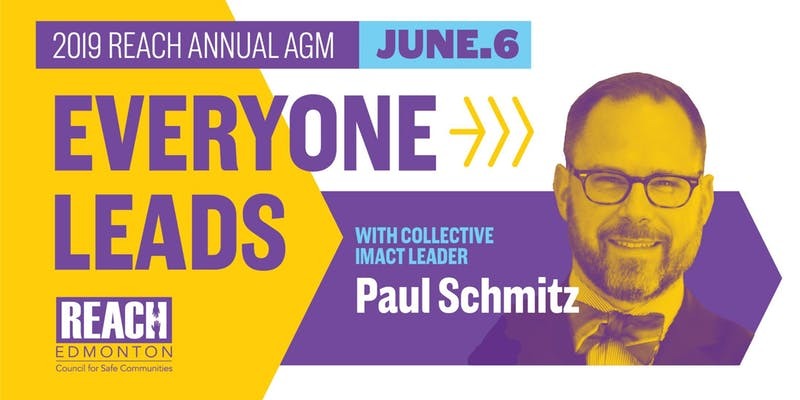 Author and trainer Paul Schmitz will share his extensive knowledge on equity, collective impact and community engagement with our partners and community members at the 9th annual REACH AGM. 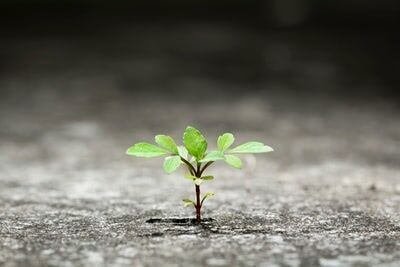 The theme for 2019 is taken from Schmitz's book title, Everyone Leads: Building Leadership from the Community Up. Schmitz will present the workshop version of his standard keynote presentation on collective impact and the practices and values that make it work. 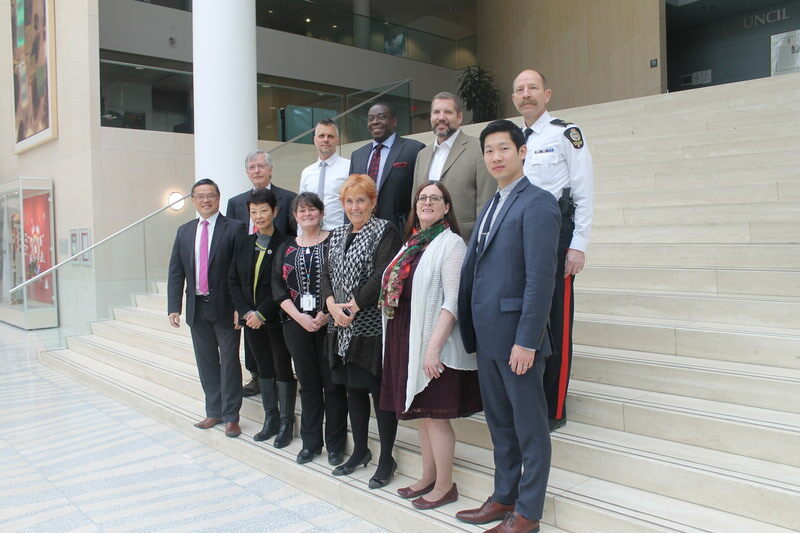 In addition to speaking at the AGM, Schmitz will also give a talk a MacEwan University on June 5 on Committing to Equity and Community Engagement, as well as the Mayor’s Community Safety Leaders’ Luncheon at the Matrix Hotel June 6. Schmitz builds the collective leadership of organizations and communities to achieve greater social impact through his roles as Senior Advisor at The Collective Impact Forum and CEO of Leading Inside Out. 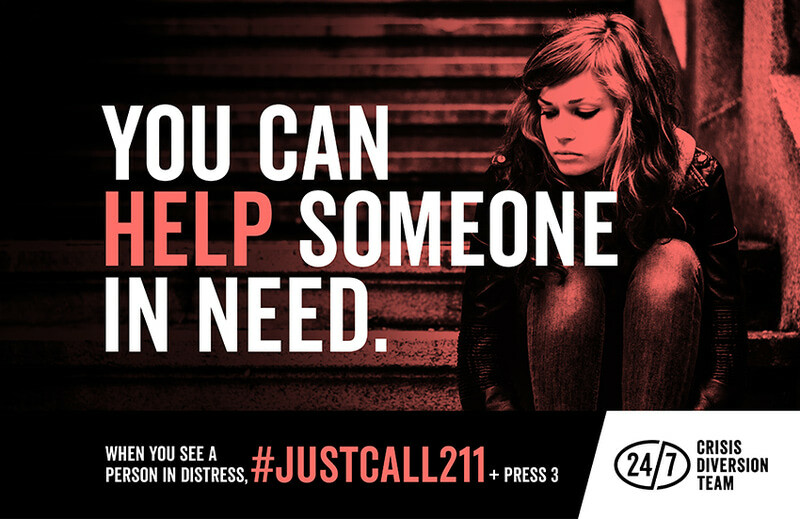 He is also the former CEO of Public Allies, where he helped more than 5,000 diverse young adults begin careers working for community and social change. He is a faculty member of the Asset-Based Community Development Institute, was a social innovation advisor to the Obama White House and has been named three separate years to The Nonprofit Times list of the 50 most influential non-profit leaders in America. He lives in Milwaukee, Wisconsin with his wife and five children. 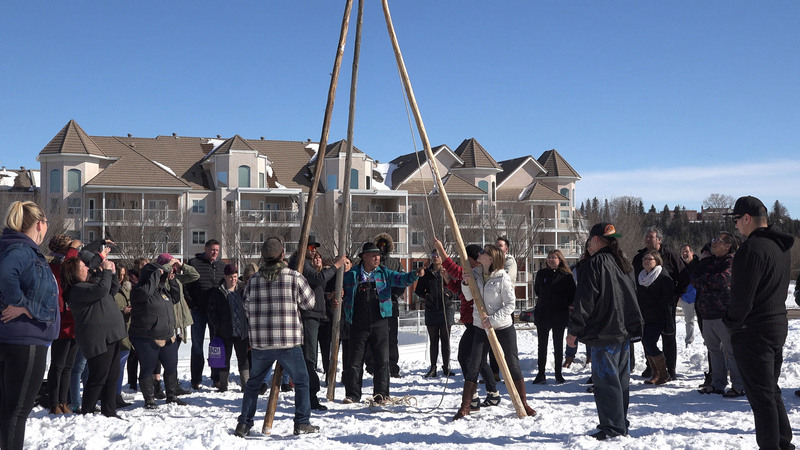 The public event at MacEwan University will be held June 5, 4 p.m. to 6 p.m. and the REACH AGM will be held at the Central Lions Recreation Centre on June 6, from 5 p.m. to 7:30 pm. Registration for the AGM and MacEwan public events will be open on April 12 here.